Is your New Year’s Resolution this year to lose weight, get stronger, or just be healthier? Then the new PumpUp app for iPhone and iPod Touch is for you and it’s launching just in time to help you achieve your resolutions this year! 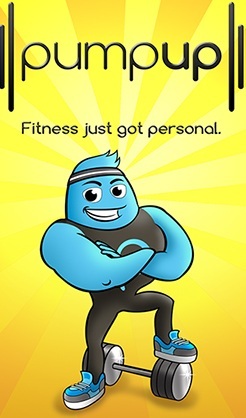 PumpUp is a brand new, personalized workout app that adapts to you. By asking a few simple questions such as your goals, where you want to workout and the equipment you love to use, PumpUp automatically builds a high-quality workout designed to help you reach your goals. If you’re looking to get started with a fitness routine that is right for you, or your simply looking to take your fitness to the next level, PumpUp is perfect for you! The app will show you what to do, how to do it and over time, and will adapt your plan to ensure you continuously improve! “We’re simplifying the workout experience by asking you what you want and taking care of the rest. Getting fit doesn’t have to be tough; people just need to be shown what to do. With PumpUp, that’s exactly what we’re doing” says Phil Jacobson, co-founder & CEO of PumpUp. With PumpUp, reaching your potential has never been easier. BerryRipe readers can download PumpUp on the App Store and try it FREE for 30 days. Visit the PumpUp website to learn more, follow PumpUp on Twitter, or like PumpUp on Facebook.